We've finally hit the saturation point for the social media phenomenon of the summer. 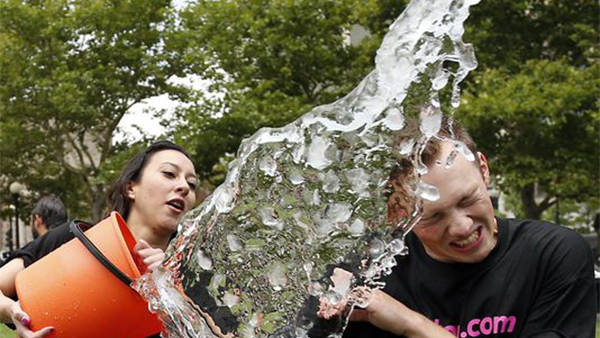 It’s probably no surprise that interest in the ALS ice bucket challenge is waning. After all, it’s getting cold out there. 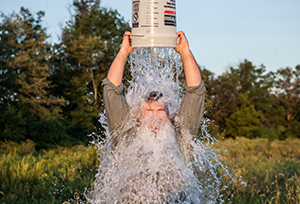 Peer-to-peer fundraising consultancy Plenty took a closer look at the social phenomenon of the summer, charting both the campaign’s overall impact and the average daily donations made to the ALS Association. The cumulative impact is the part that looks like a tidal wave — both on the chart and in your Facebook feed. 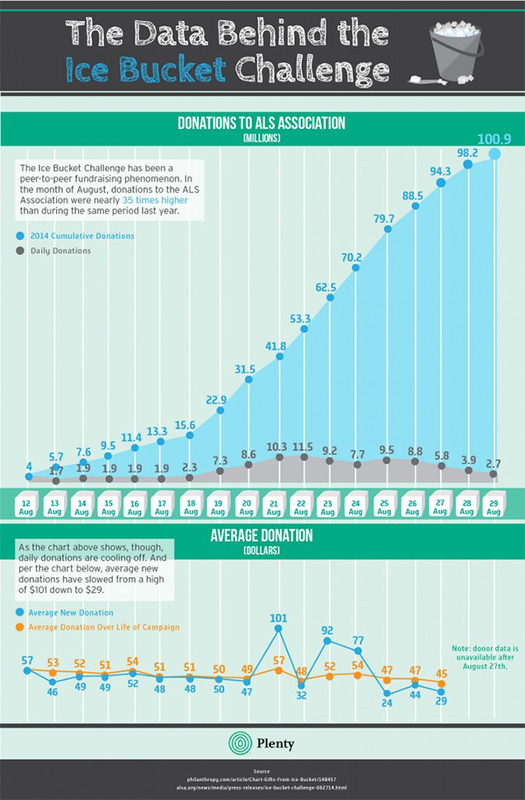 To date, the ALS has netted over 100 million in donations from more than 3 million people. Forbes calculates that this is a 3500 percent increase from donations received in the same period last year. But the other data presented by Plenty signals a saturation point for the challenge (no pun intended) as the average daily donations being made to the cause are beginning to slip, from a high of $101 to the current rate of about $29. It’s been a long, wet summer and we’re looking forward to seeing something new in our social streams. But with numbers like these, we have a feeling we’ll be talking about The Ice Bucket Challenge whenever viral marketing comes up in conversation for years to come.